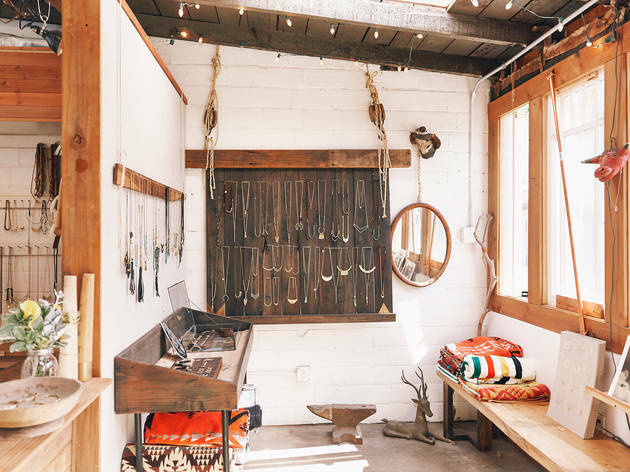 Though jewelry designer Marisa Haskell is known for her boho brass, turquoise and leather jewelry, the effect is more San Francisco cool than Santa Fe kitsch. 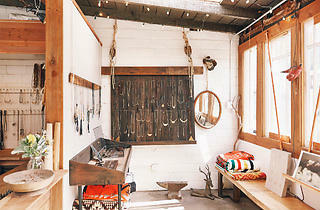 Necklaces are strung in rows along the shop’s wooden walls, all out in the open for touching and trying on. The long leather and brass pendant necklaces are perennial favorites, as are pile-’em-on brass cuffs. Linger near the counter to watch Haskell at work, deftly stringing beads and hammering metal.